MEOW! 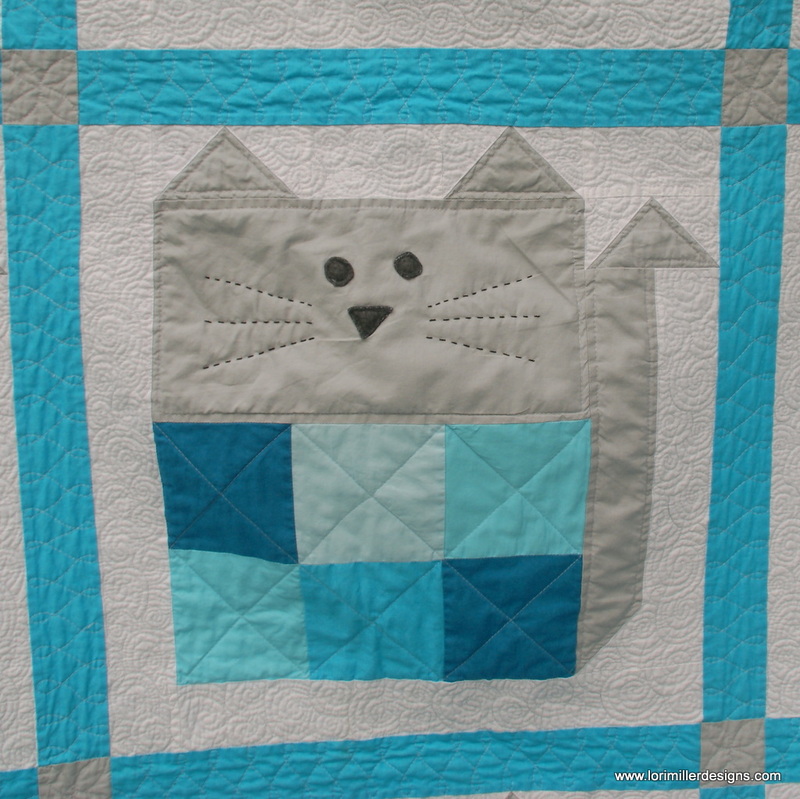 Cookie Cat is here, my latest quilt made to celebrate my sweet kitty, Cookie. You can find this fun little quilt in the March 2018 issue of American Quilter Magazine. This magazine is published by the American Quilt Society (AQS). Note: If any of you would like to join AQS in February, you will get access to the March digital issue as soon as you join, plus you can get 6 additional issues, a full year, in print. Also, if you join and log into americanquilter.com, all AQS members have digital access to ALL American Quilter magazines back to 2013. I just happen to be a member, so I though I would share. 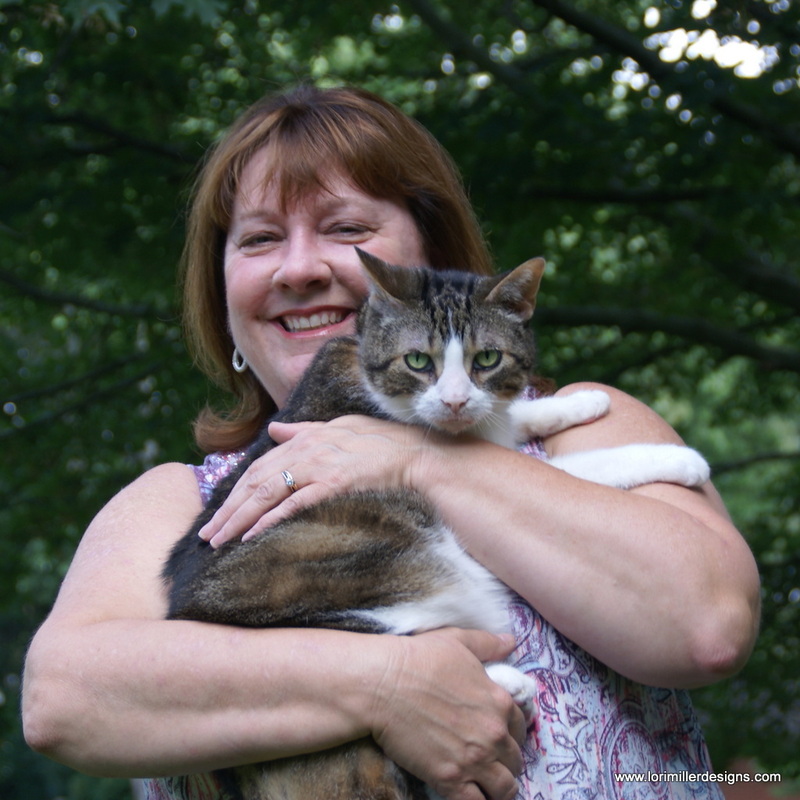 Here is the real Cookie Cat, he loves to help me with my quilting. As usual, I designed this cutie with Electric Quilt design software. It makes the process easy and I had quite a few iterations on this block until I got it where I liked it. I started quilting at my cottage in Northern Michigan. I have a well used Featherweight Singer up there and it pieces a quilt quite nicely. 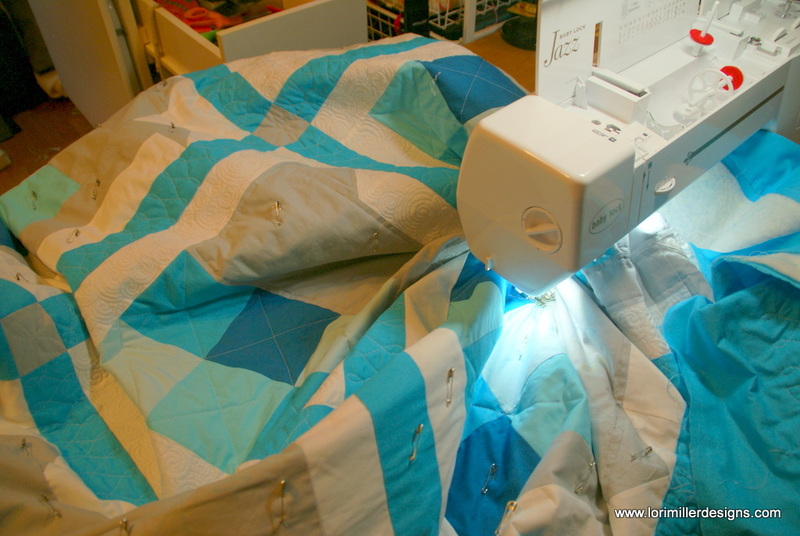 I generously received cotton solid fabric from American Made Brand to make this sweet quilt. The pieces are sized at five inches so they are charm square friendly too. There are two variations in the colors for the blocks. These are large 18″ blocks. 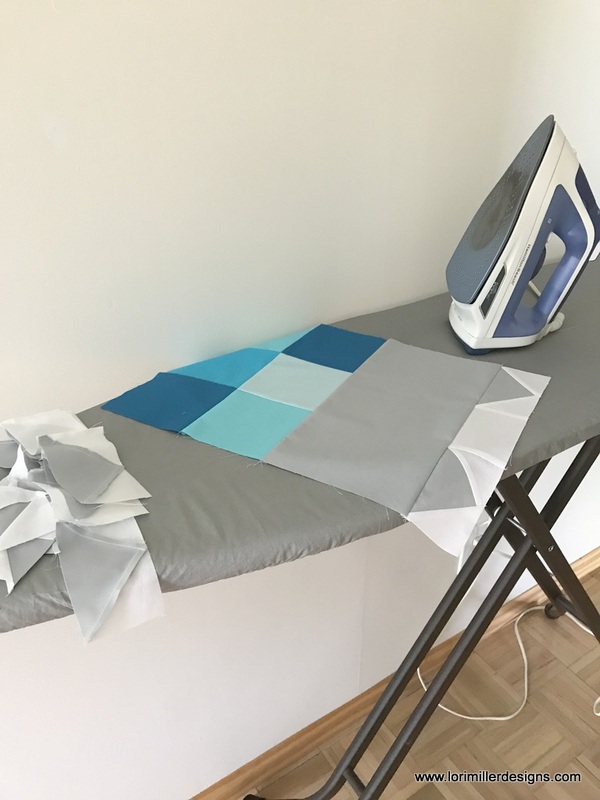 I love a large block, easy to sew, easy to have a large quilt quickly. Here is my fancy light box at the cottage. Yes, its a window from the second story, so I have a lovely pine tree backdrop. 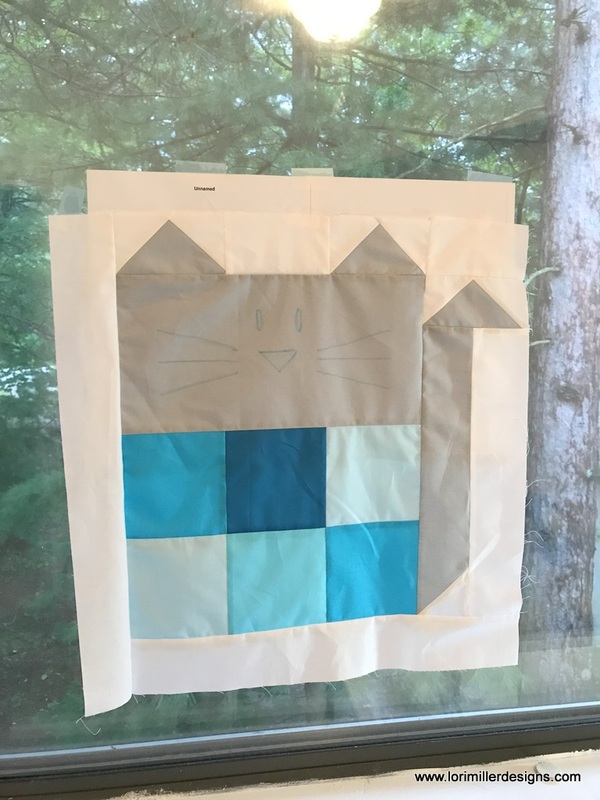 I just taped the template to the window and then moved the block to where I wanted the face and taped the block to the window. Then I traced with a water soluble marker. Once I had the face on, I hand embroidered the whiskers. The little nose is a piece of fleece. I went a little crazy with the quilting. I wanted to try out my Babylock Jazz on a larger quilt. 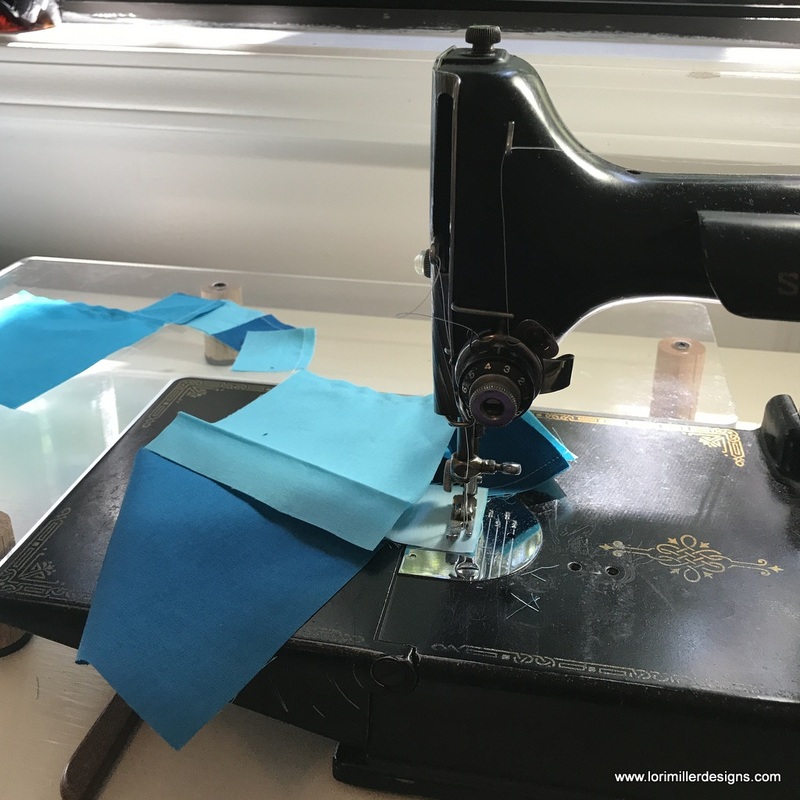 It may look like a jumble, but the large throat made it easy to do free motion quilting and the walking foot quilting. Here you can get a better idea of all of the quilting. I made the tiny swirls so tiny around the kitty, that took me forever. Next time, I will make those babies just a bit bigger to get it done sooner. I cant complain too much, I do love all that texture it creates, especially since the kitty is so basic. 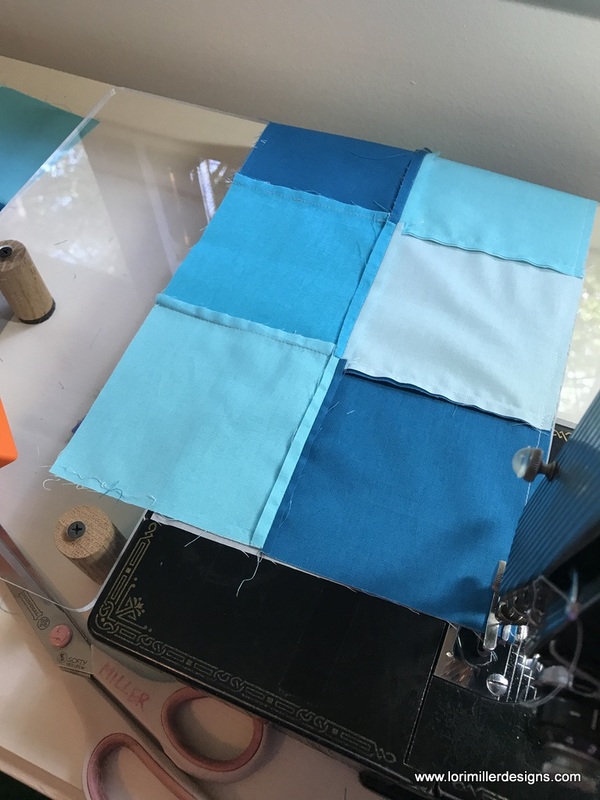 I have enough scraps to make a baby quilt with just four blocks. 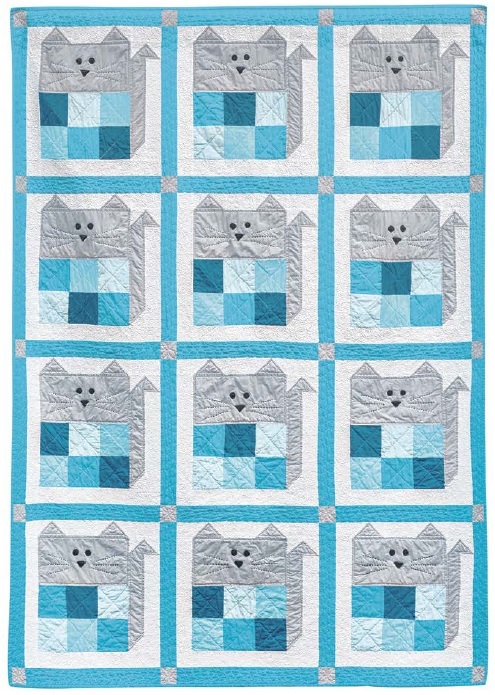 That just might be a great idea if you want to try this block but not make a twin size quilt. 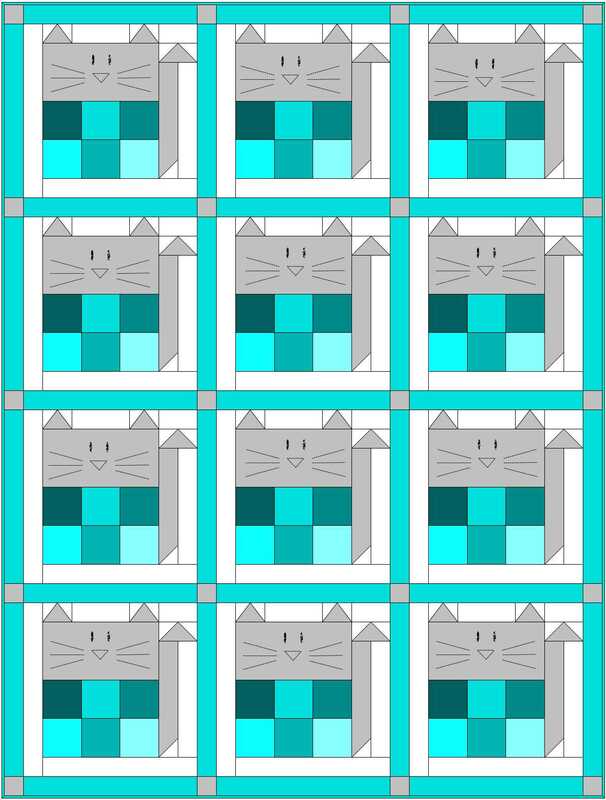 Just one block would make a super cute pillow too. Another great project Lori. Went to the quilt shop today and purchased (I think) modern fabric. Think you would approve!! Such a glare Cookie Cat is giving the camera! : ) Cute quilt! Super cute!!! Cookie and the quilt! Going to have to grab a copy of the magazine! !